DISCLAIMER: The following article was written as an April Fool's story, and all events that occurred are purely fictional. Any resemblance to actual historical events or characters, dead or alive, is purely coincidental. 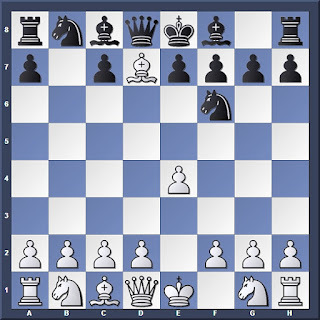 Today, we are experiencing the resurgence of many interesting chess variants, from bughouse to chess960 and even the occasional crazyhouse tournament on chess.com. 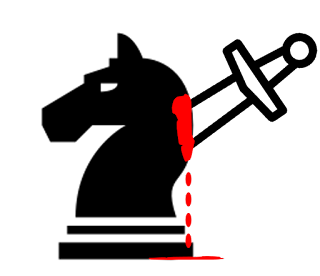 One particular variant, Suicide Chess, remains a popular but curious variant that many of us play as a break from regular chess. But how many of us ever paused to think about how such a weird variant was created, and why did it come about? To uncover the truth we need to return to Part 3 of our Fischer series, where Robert James Fischer was dominating the chess world in the 1970s. The Reds realized that they could not simply sit and cross their fingers, hoping that Spassky would save the day. They had to prepare for the worst, and come up with something to mitigate the situation if things got ugly. Some suggested organizing separate world championships for blitz and rapid chess, so that even if the Russians lost the main crown they would still have a chance to retain the others. But the idea was quickly shot down: Fischer had proven himself to be equally successful in shorter time controls, and creating more championships would only give him more titles to win! It was then that Mikhail Tal came up with a bright idea: Creating a new chess variant that would throw Fischer’s preparation off guard. He proposed a variant where, instead of capturing pieces and checkmating the king, the aim was to lose all your pieces before the opponent did. Indeed, it was in line with Tal’s daring, sacrificial nature in classical chess! And so, modern day suicide chess was born. 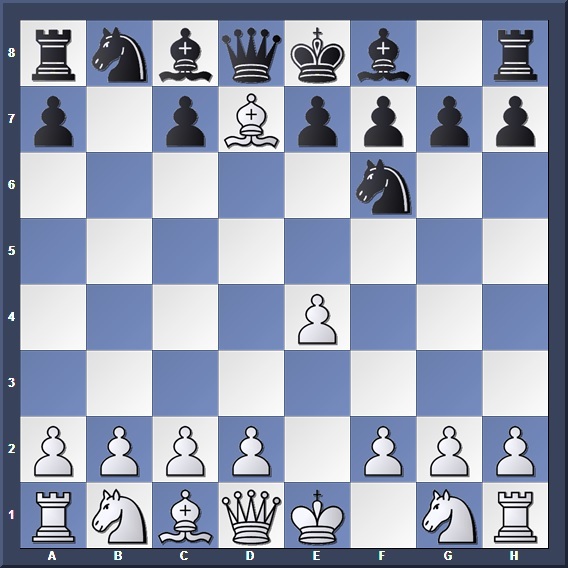 The initial rules were simple: Both sides were given a set amount of time to play as in normal chess, but the player with fewer pieces at the end of the time control would be the winner. Then the authorities realized that either player could decline captures and dance their pieces around till the end of time, so they added a new rule: Any capture available on the board would be a forced move (unless there are two or more captures present, in which the player MUST choose one of them as his next move). The proposal was submitted to FIDE who, in their eagerness to make chess more appealing to the general public, accepted it. 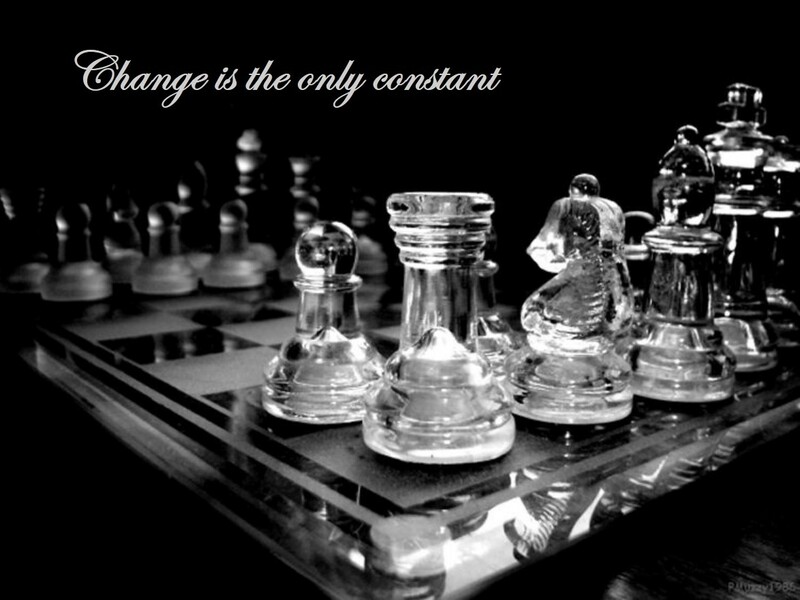 Before long, it was declared that alongside the World Chess Championship, a new and separate World Suicide Chess Championship would be introduced, alongside its own Interzonal and Candidates Tournaments. Which came about just in time; the 1972 World Championship match had just concluded, and Fischer was the new World Champion. The Soviets, desperate to take a new title and prove to the world that they still had something to boast about, urged FIDE to kickstart the new Suicide Chess Championship cycle. The Russians’ plan worked like a charm. Their new confidential training program, designed to convert current grandmasters into suicide chess experts, was reaping results. 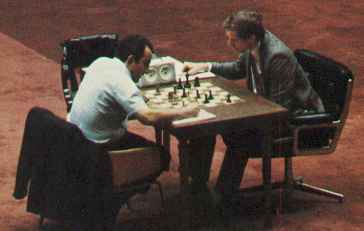 Top Soviet players like Petrosian, Korchnoi and Smyslov were dominating the Interzonals, sweeping their way through games as their pieces fell off the boards rapidly. How about Fischer? The American, drunk over his recent conquest of the chess world, saw an opportunity to add another feather to his cap. So he entered the Suicide Chess cycle, confident of knocking aside the Reds as he did in mainstream chess. But he was in for a rude shock. While standard chess had trained him in the ways of spotting piece-winning tactics or looking out for enemy threats, it was the absolute opposite this time round. He simply could not get used to the fact that he had to spot threats from his own pieces, and maneuver his way out of tactics rather than into them! Bobby scraped his way through the Interzonal, barely qualifying for the 1973 Candidates Matches. Incredibly, for his first match he was paired against Spassky. In a reversal of history, the Russian defeated the American 6.5-3.5, with six wins, three losses, and one draw. It was reported that at the end of the 6th game, Fischer was seen storming out of the playing room cursing under his breath when he played what he thought was a brilliant piece-winning windmill, only to remember that they were playing suicide chess! The following game was taken from the critical 10th game, where Spassky scored his 6th win that pushed him over the 6.5 point margin. Just like that, the American genius, favourite of the press, and the greatest standard chess player of all time, was knocked out of the Suicide Chess Championship cycle. The 1974 World Suicide Chess Championship was eventually won by Mikhail Tal; not surprising, considering that sacrificing pieces was already second nature to the Magician from Riga! 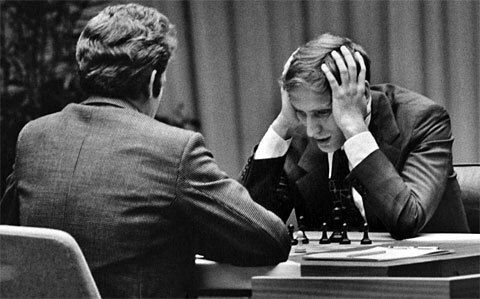 Following his defeat, Fischer realized that there was no way he could let suicide chess overtake standard chess in popularity. So he proposed a new chess variant, which follows the rules of standard chess only that the initial position of the pieces on the 8th rank is randomized. Today, this is known to us as Chess960. What about Suicide Chess? Well, the Reds were happy to keep their new title, and finally beat off the American Imperialist that menaced them for so long. After Fischer forefeited his title in 1975 due to yet more disputes with FIDE, Anatoly Karpov was declared the world champion. The Soviet authorities, having the treasured crown finally back in their hands, saw no reason to continue holding any alternative title, and stopped sending their players to subsequent Suicide Chess Championship cycles. As a result, FIDE found themselves lacking sufficient funding for suicide chess, since the absence of the Reds meant that the great support they received was no longer present. Slowly, the popularity of suicide chess declined. After Kasparov broke off from FIDE to form the Professional Chess Association (PCA) in 1993, the World Suicide Chess Championship was cancelled. Today, we might enjoy a short game of suicide chess, and laugh as we rush to let our pieces fall off the board. But hopefully, through this interesting story you will get to appreciate how such a variant arose, and that the war between Fischer and the Russians was not all that bad after all!